20 Years Before 2000: Pop Culture League Challenge: Blind Baggin it! Pop Culture League Challenge: Blind Baggin it! This week's challenge is titled "Buying Blind". 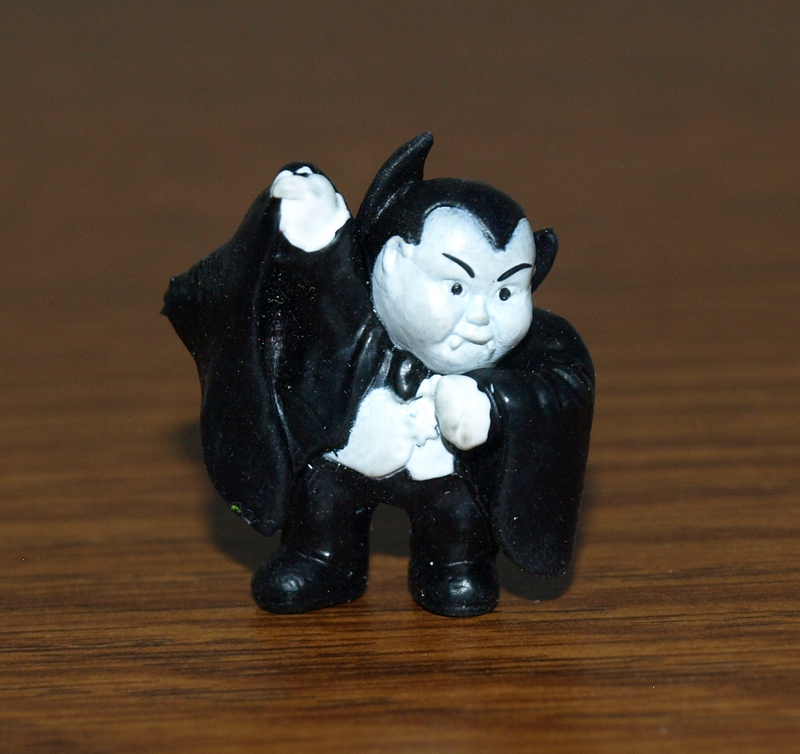 Who doesn’t love gambling on a blind box or mystery package? I for one, love it...if the price is right! 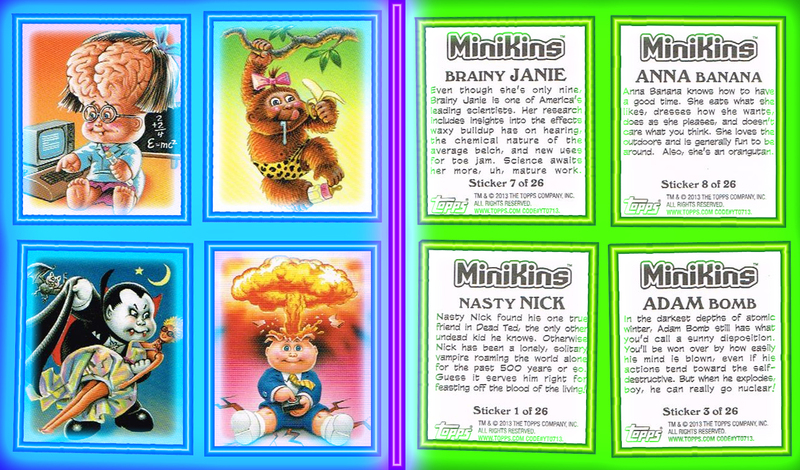 I found these Garbage Pail Kids Minikins blind bags at the Dollar Tree the other day. Who could pass these up for only $1! These were released by Topps in 2013. Each pack comes with 4 figures and 4 stickers. 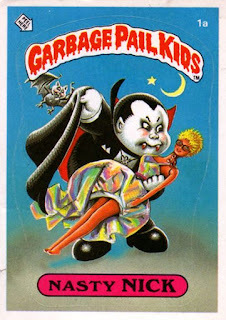 The reason I picked this pack is because I could see it had Nasty Nick the vampire from series 1 in it! Perfect for this time of the year! Oooooo! Creepy! I love this guy! My only complaint is that the figure does not include the "Barbie Doll" in his arms like the original card did. I understand I am asking too much from a 1 inch tall mini-figure, but I'm kind of a jerk like that! Otherwise it is pretty accurate to his 1985 card. 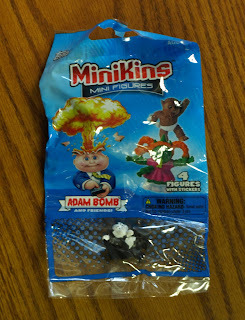 Also included in the "Blind" portion of the pack I got the always popular Mr. Adam Bomb, Brainy Janie and Anna Banana. For $1, these things are great! They have the squishy, rubbery feel of a Squinky, but the paint and mold detail is awesome for the size! 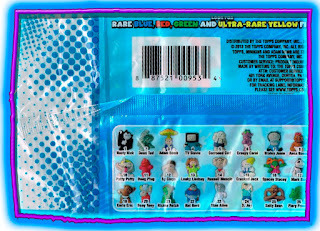 Also included were 4 mini stickers of each of the characters contained in the bag. Each sticker has original Garbage Pail Kid art on the front and a nice little bio write up on the back. 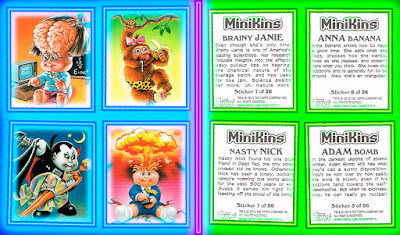 There are 26 Minikins to collect in this series. Each in a blue, red, green, ultra rare yellow and painted variation. 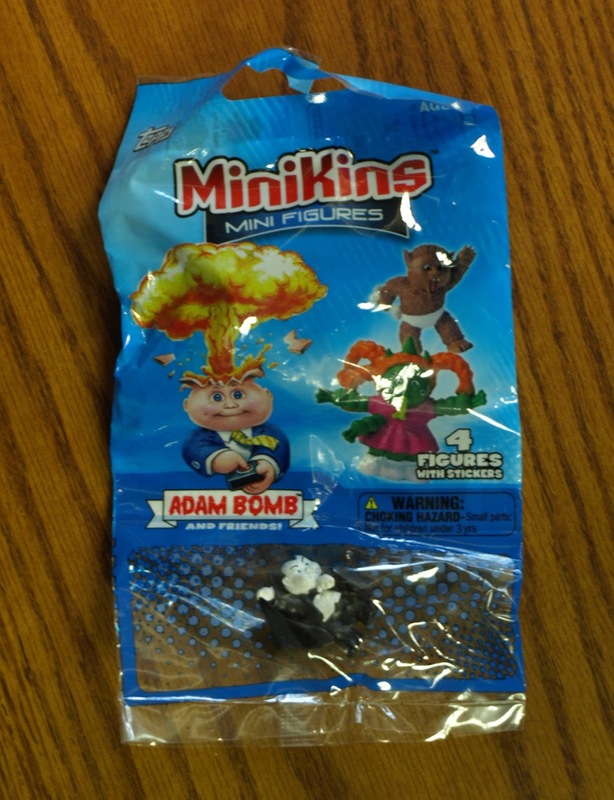 If these are still at the Dollar Tree next time I make a visit, I'll probably grab another bag. 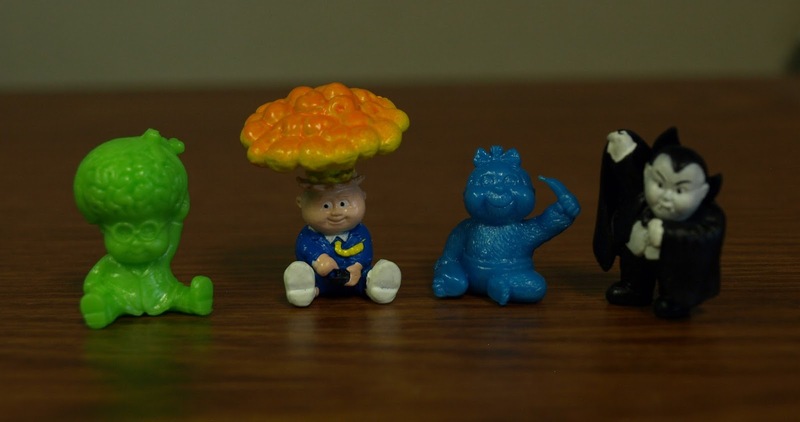 I really do enjoy the suspense and surprise of a good blind bag toy! Click a link below and find out other Leaguers thoughts on "Buying Blind"! Calvin's Canadian Cave of Cool keeps it real! If I can find these, I'm getting some! Thanks for the heads up. These look great and yeah I would hope to find the vamp as well due to this time of year. Hey, a relatively new blog to add to my reading list thanks to the PCL! You can't go wrong for a buck I say! Thanks Dex! I have been a reader of your blog "AEIOU...and Sometimes Why" for a while. I really enjoy your Monthly Movie Recaps. Ranking: Jazzy Jeff and the Fresh Prince!